Two things in life that are certain – Death and Taxes! Unfortunately, death for the most part cannot be predicted, but planning for death should be one of the foundation bricks of your long-term financial planning! Life Insurance is a product that you can buy a lot of or not very much of, depending upon your own individual circumstances. 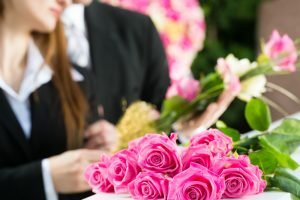 It is also unique in that you can pay a lot or a little for basically the same death benefit all dependent upon the type of plan that you choose. Keep in mind however, that the younger and healthier you are the less you will pay for your coverage! The number of people financially dependent upon you including spouse, children, elderly parents, non-custodial children etc. The best piece of advice that we can give you is, that whatever type of policy you decide to buy, make sure it provides enough of a death benefit to meet your family’s needs and never lose sight of this number! Term Life Insurance is Life Insurance which provides coverage at a fixed rate of payments for a specified and limited period of time. Term Insurance is the least expensive way to purchase a substantial death benefit on a coverage amount per premium dollar basis over a specific period of time. Click here to read more. In actuality, there are only two main types of life insurance – Term and Permanent Life Insurance. You will find that many people become confused between “Permanent Life Insurance” and “Whole Life Insurance” as many times they are incorrectly interchanged. Click here to read more. The purpose of Universal Life Insurance is two-fold. First and foremost, Universal Life Insurance is an insurance product designed to help you take care of your beneficiaries by providing them with financial support and long-term insurance protection to help safeguard the legacy you’re building for them. It also gives you the opportunity to invest and build additional wealth over time, within the same policy. Plus, the added advantage is that it gives you an opportunity to invest and build additional wealth over time – tax free! Click here to read more.